This ceremony was captured in Dalkebar, Dhanusha at the time of Dashain festival occurring during September-October in Nepal. 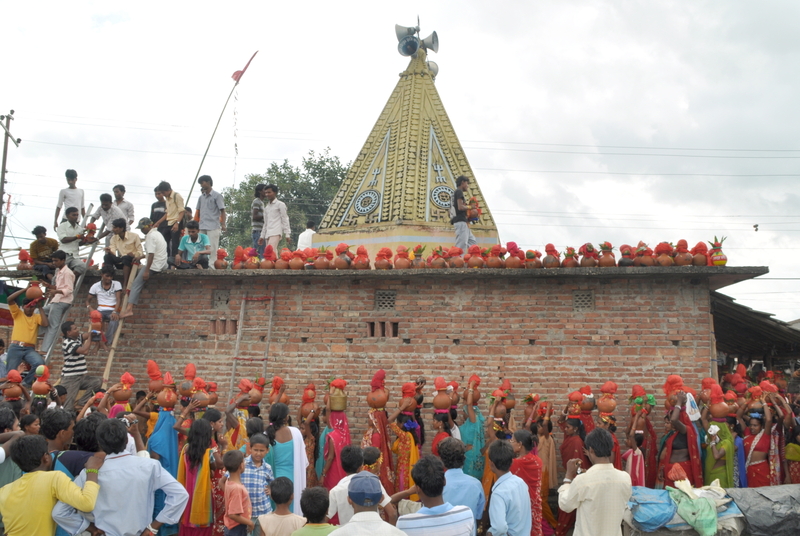 Women devotees carry the decorated “Kalash”, vessel carrying sacred water, from Kamala river in their head all the way to the temple. This is carried out for “ghatasthapana” for “jamara” ceremony, ie. growing barley in sand away from sunlight. This photo was taken in Dalkebar, Dhanusha Nepal.